It is something that many women go through and often alone – stillbirth and neonatal death. Shaye Woodhouse is one of them. 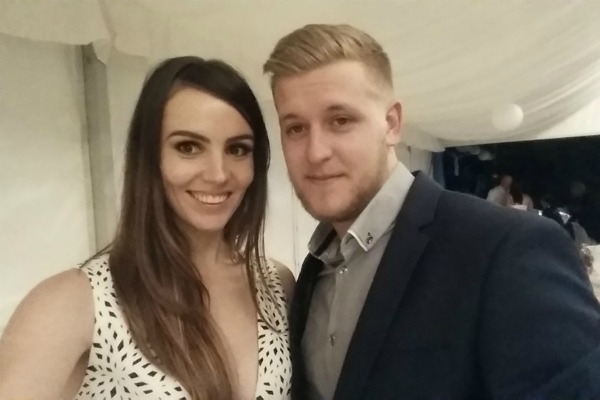 However, through the loneliness, the sadness and the heartbreak Shaye has started something to give other families faced with unexpected stillbirth the resources, encouragement and support to help them move forward after such a devastating loss. This is her story and how Charlee’s Baskets came to be. And it’s an incredible one to say the least. At 37 weeks pregnant Shaye Woodhouse was eagerly counting down the days until she would meet her second child, a daughter she had already named Charlee. However, one morning Shaye woke up to zero movements from her baby and later the heartbreaking realisation that her daughter had died in the womb due to a true knot (a knot in the umbilical cord that stops the flow of oxygen). 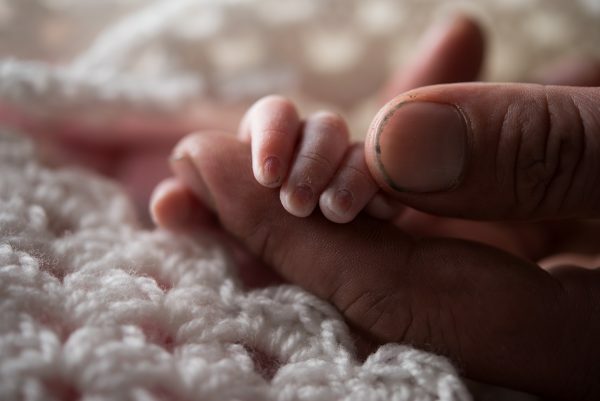 After birthing her stillborn daughter and saying goodbye to the baby she never got to properly meet, Shaye was left feeling heartbroken and lost. “Losing Charlee was an unimaginable heartache. For nine long months I had been dreaming of and planning for Charlee’s life. Instead I was handed bereavement forms and information packs – telling me what to expect, what to do next, how my relationship would suffer and how others would react to my baby born sleeping,” Shaye tells Babyology. It was through her husband and her daughter, two-year-old Lana, that Shaye found the strength to keep going. However, this loss, this sadness, affected her entire family, including Lana who often asks about Charlee. While Shaye came to terms with Charlee’s death, she realised just how little support there is for families who have undergone a similar tragedy. The stigma surrounding stillbirth tends to force families to grieve in silence and without support. It was through this realisation that Shaye founded Charlee’s Baskets – a company that provides a complimentary pamper pack to families that have experienced the trauma of stillbirth and neonatal death. Shaye’s mission is simple – to help those who need support. “I want nothing more than to provide a gift to families in a caring, compassionate and warm manner,” she explains. Charlee’s Baskets will provide hampers to local Victorian hospitals to start with and hopes to expand in the upcoming months with the support of more companies. Each hamper will come pre-packed with essentials – toiletries, skincare and feminine care products, for example, as well as items to commemorate and remember their child – inkless print kits to create handprints, a photo frame, seedlings to plant a flower and more. The hampers will also include a small gift for siblings as well as a book explaining what has happened and a few special items for Mum including vouchers and calming tea. Charlee’s Baskets may not be much, but to a family who has just lost their baby, it means the absolute world. 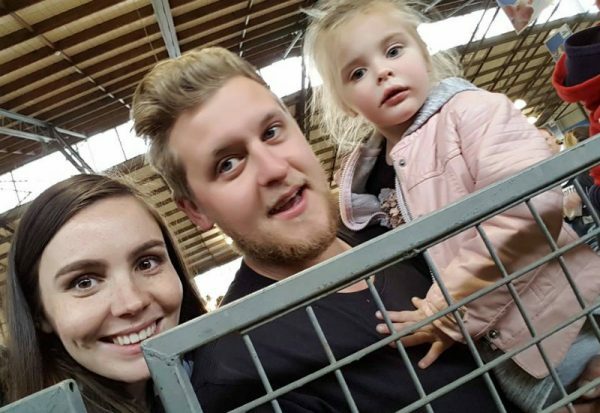 Shaye, who is pregnant again with her third child and due in November (11 months after losing Charlee), is the first to admit that the months after losing Charlee were next to impossible to cope with. And while it may take a village to raise a child, we often we are often left to grieve the death alone. Shaye is ensuring this doesn’t have to be the case, one simple basket at a time. A massive thanks to Shaye for sharing her story with Babyology. Keep up the amazing work Shaye – you are an inspiration to us all. To help support Charlee’s Basket, you can get in touch via email.